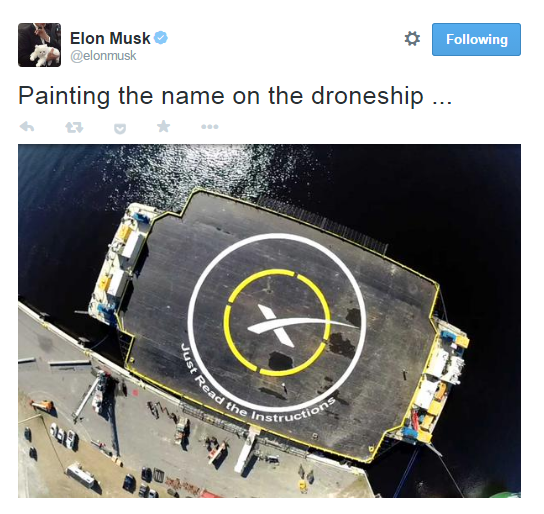 Today I learnt that Elon Musk (in his capacity as the CEO / CTO of SpaceX) paid homage to Iain Banks, a science fiction writer, by naming two autonomous spaceport drone ships for the company’s flagship Falcon 9 rocket, after characters from Iain Bank’s popular ‘Culture‘ series (A world with advanced AI intelligences living in the post-material-scarcity Milky Way) . SpaceX, as per its website “designs, manufactures and launches advanced rockets and spacecraft.” One of the company’s goals is to enable people to live on other planets. 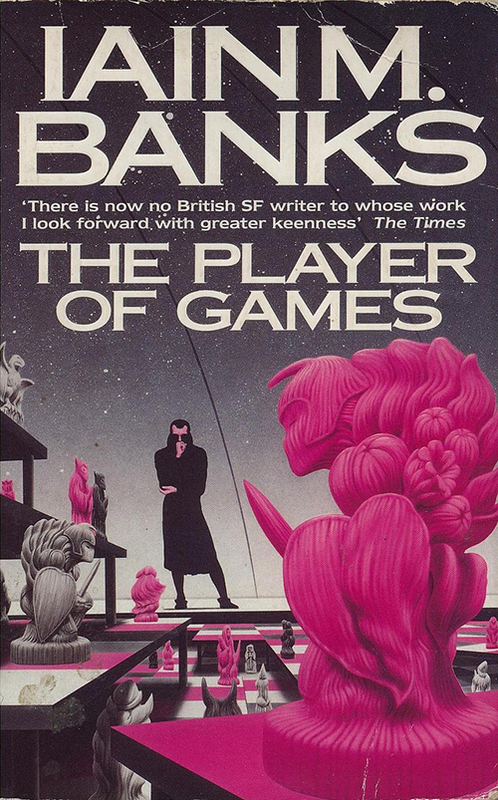 Funnily enough, I’ve read a number of the Culture novels, but the ones I remember vividly are “Player of Games” and “Excession“; both had feminist/ gendered narratives as undertones, and both relied quite extensively on the Culture’s AI ships as a tool to question the role of humanity in a post-scarcity society. I loved the Culture series, briefly considered getting some T-shirts made with the ship’s names printed on them, and then moved on to Hannu Rajamiemi’s Quantum Thief series, which I can’t be certain I’ve understood at all. In any case, Strange Horizons (a magazine of and about speculative fiction and related nonfiction) on 22 June 2015, published a superb post by Karen Burnham on space in science-fiction evolving with IRL space-exploration trajectory and its impact on post-scarcity thought in SF, and as I eagerly devoured it on a Saturday morning, when the world is ripe with possibility, I discovered that Elon Musk/ Space X had named two of the ships for sentient AI behemoths from ‘The Player of Games’. It was a lovely moment! “Just Read the Instructions” – floating platform No.1 has already participated in one rocket-landing test for Falcon 9 on January 10, 2015, (unfortunately, without success) and more are likely to happen. Similarly, a second floating platform is being built, and as you’ve seen, it will be named “Of course I love you”. Isn’t this the best tribute to Iain Banks ever? Of course, if I had to pick a name, it would’ve been the ‘Excession’ classic, GSV class, ‘Anticipation of a New Lover’s Arrival, The’. GCU class is mainly a peacetime model, phew. So there you go, #TIL. 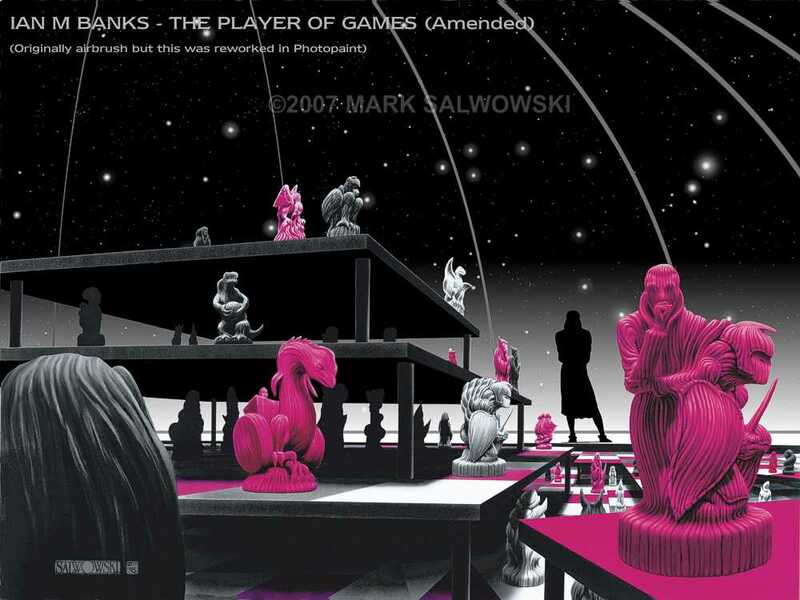 (On a different note, this is the kind of cover image that’d make me reach out and buy a book, no questions asked. As I shift all of my reading to the Kindle these days, I’m sad that cover image art might be a neglected art.